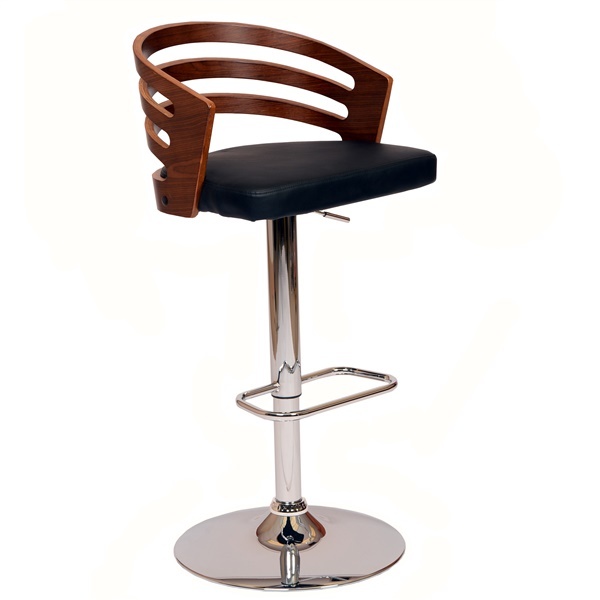 Snazzy and stylish are the best words to describe the Adele Swivel Bar Stool from Armen Living. With its sturdy chrome base and footrest and a durable leatherette upholstery in a variety of colors, this beautiful stool can swivel and can adjust in height. Finishing off the look is the gorgeous walnut veneer. This chair will fit in your home or in your business, wherever you need additional seating. Chrome base for stability and shine. Durable leatherette upholstery in your choice of colors. The weight capacity of the Adele Swivel Bar Stool is 250 lbs.